Get a handle on your daily fitness routine. Available in 6, 8, 10, 12, 14, 18, 20, 25 and 30 lbs. Wrap a total conditioning routine into a tight little ball. Available in 2, 4, 6, 8, 10, 12, 14 and 16 lbs. increments. 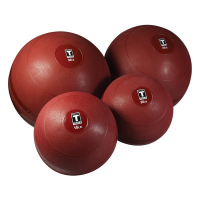 Soft Medicine Balls soft-shell construction absorbs impact while maintaining shape and weight balance even after repeated use. 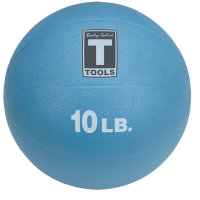 Medicine balls are ideal for every day use because they are compact enough to keep in any room. VTX slam balls are built to absorb the energy of a slam, have no bounce and be ready for more. 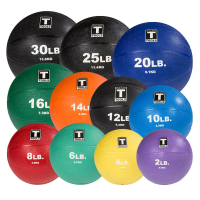 Available in 10,15,20,25,30,35,45 and 50lb sizes the VTX slam ball is encased in a tough rubber shell that is equipped with an easy to grip surface. 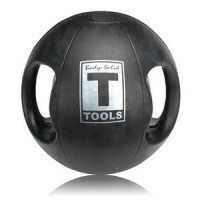 The VTX slam ball will add a new dimension to your workout.